A historical venue in Toronto will be undergoing renovations this year! According to press reports, “Massey Hall is undergoing the most significant renovation in its 124 year history and will close for two years beginning in July 2018. “The Revitalization will protect and celebrate Massey Hall’s heritage and build a lasting legacy for artists and fans. This venue is an iconic one for the music of African people. 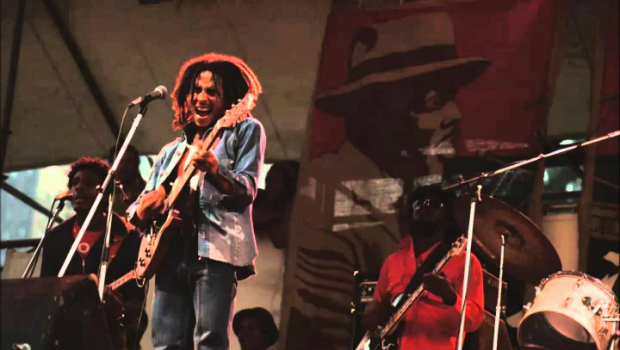 In 1953, the greatest Jazz concert ever was held there and in 1975, Bob Marley and the Wailers blessed the house. Toronto-born Curtis Bailey, who joined the ancestors on September 26, 2007,was there. Bailey was about 10 years old at the time he performed at the venue. The 1953 concert at Massey Hall was the last recorded meeting of alto saxophonist Charlie Parker and trumpeter Dizzy Gillespie. An album Jazz at Massey Hall, a live jazz album featuring a performance by "The Quintet," was given on May 15, 1953 at the Toronto venue. Parker and Gillespie are joined by pianist Bud Powell, drummer Max Roach and bassist Charles Mingus. It was the only time that the five men recorded together as a unit. I met Bailey the first time I came to Toronto in 1967. At that time he was working in the jazz department at Sam the Record on Yonge Street. He was known by name to an international array of musicians who welcomed him backstage. I was blessed to have seen the massive collection and hear him talking about staying in touch with Gillespie and Roach after seeing them at Massey Hall in 1953. Fast forward to June 8, 1975 and I find myself sitting next to the King of Reggae on the bus after the Massey Hall show. The person running Island Records Canada made it plain to me that Marley was not granting any interviews. The first thing I did was to ask Marley himself for an interview. He asked me, “where is your tape recorder?” At that moment in history I did not own one. He declined because of that. I phoned Hedley Jones. Jones’ father, Hedley H. G. Jones, was a legendary figure in Jamaican music. According to YouTube, “He was a Jamaican musician, audio engineer, inventor, trade unionist, and writer. His son Hedley was working for the Canadian Broadcasting Company and had all the technology. He interviewed Marley. While I saw Marley every time he came to Toronto and once in Santa Barbara California I never interviewed him. I still remember the MC saying “This is the “Trenchtown Experience,” and Marley knocking the microphone off the stand picking it up and giving a mind blowing two hour concert. The band featured Marley (vocals, rhythm) Aston Barrett (bass), Carlton Barrett (drums), Al Anderson (lead guitar), Alvin Patterson and The I-Threes (backing vocals). This show is special because Marley ad-libbed between songs and he was one to chat much between songs. I was familiar with Bob Marley before seeing him. A school mate of mine Fred Goree who became Masai Karega Kenyatta and a DJ on WCHB 1440 AM in Detroit, went to Los Angeles City College at the same time as me. Goree gave me my first Wailers album, Catch a Fire. A childhood friend of mine, Jaheed Ashley who works for the Pan African Film Festival, told me many times about seeing the Wailers in 1973. Ashley said he met Bob, Peter Tosh, Earl Wire Lindo, Bunny Wailer and the Barrett Brother (Carlton & Aston) at a rock / jazz club in San Fran-Disco as Tosh called the Bay Area city. He said he interviewed Marley and Carlton Barrett on KPFA in Berkeley 1973. This was just before they went to Las Vegas to play with Sly and the Family Stone. Besides seeing Marley and the Wailers at Massey over the years, I saw more in the years to come. I saw Wilson Pickett, the Tower of Power with Lenny Williams and the annual “Colors of Christmas” series in 1994 and 1995 which featured Dionne Warwick, Roberta Flack, Peabo Bryson, James Ingram, Melissa Manchester and Sheena Easton. Hopefully, Africans in Toronto can build our own Massey Hall and bring in black and all artists who create great music.